Civil Defense: Partial Dining Set. As seen at the Rhona Hoffman Gallery, Chicago. The chairs in this series (there are 2 existing. price listed is for each chair.) 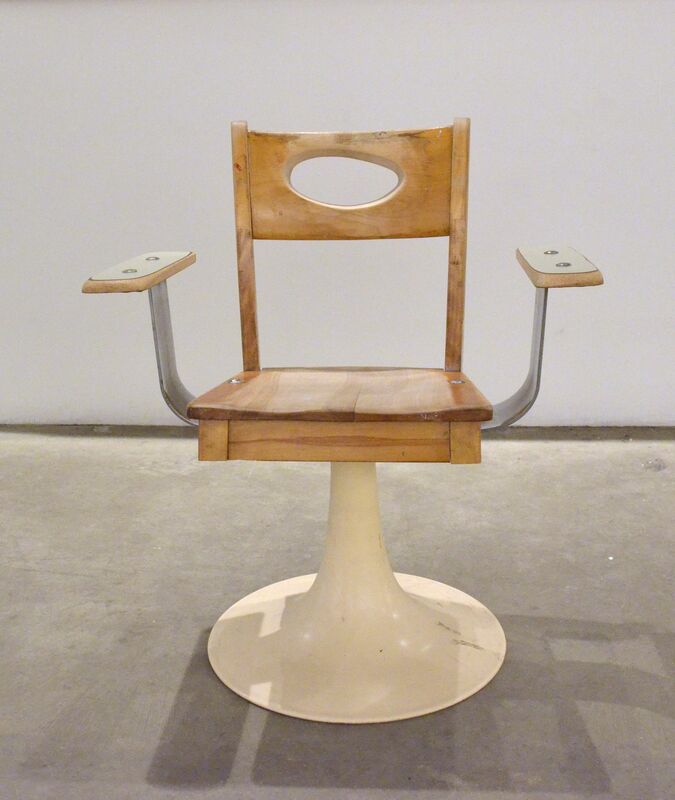 are part of Preus's Social Furniture project which takes materials salvaged from the closed Chicago Public Schools and refashions them into art/design objects. Preus is currently working with Chicago developers and social service organizations to develop some of these objects into limited production items, using local labor.